According to Health Canada, nearly 6,000 Canadians die each year from the health impact of toxic air. Toxic indoor air can create serious short-term and long-term health issues in the respiratory and cardiovascular systems of the body. The best way to combat the increasing levels of common toxins found in our indoor air today is to take a proactive approach. In this post you will learn how, just by taking steps to keep the indoor air you breathe safe and pollution-free, you can enjoy better health, reduce your carbon footprint, and save on energy costs. How does air pollution lead to issues with respiratory or cardiovascular health? What in particular is so toxic about the air you breathe that your lungs and heart (two of the most critical organs in the human body!) can become poisoned just by the act of breathing? Your lungs are like bellows. They expand to pull air in and contract to push air out. As air enters your lungs, toxins in the air enter, too. These toxins can cause inflammation in both the lungs themselves and in the lungs' air sacs, where the exchange of oxygen and carbon dioxide takes place. It takes the toxins in the air you breathe a bit longer to reach the heart and central nervous system, but once they do, the effects can be just as damaging—even deadly. When the oxygen your lungs take in is contaminated by pollutants, these pollutants are passed into the bloodstream, which reaches every organ system in your body by way of your circulatory system. Lung and heart diseases are among the leading causes of illness and death among Canadians today, with the very young and the elderly being most at risk. Luckily, there are actions you can take to reduce your family's chances of contracting diseases associated with airborne toxins, pollutants, and poisons. There are two different levels of action you can take to make an impact on your indoor air quality. One level involves changing your choices to improve air quality. The other level involves ensuring your HVAC (heating, ventilation, air conditioning) system is functioning at optimal efficiency and effectiveness. Sometimes, the simplest choices can make the most profound impact on your indoor air quality. This does not necessarily mean these choices are easy to make or to change! Tobacco use Ceasing the use of tobacco products (smoking, vaping, etc.) instantly reduces both immediate and lingering air toxins. Air fresheners Swapping out commercial, chemical-based air fresheners and odor eliminators for pure alternatives such as essential oils and citrus or baking soda makes another immediate impact on the toxicity levels of your indoor air. Cleaning products In the same way, switching from harsh, toxic commercial cleaning products to natural baking soda, white vinegar, and other pure alternatives will immediately ease up the pressure on your body to filter out toxins you are breathing in. 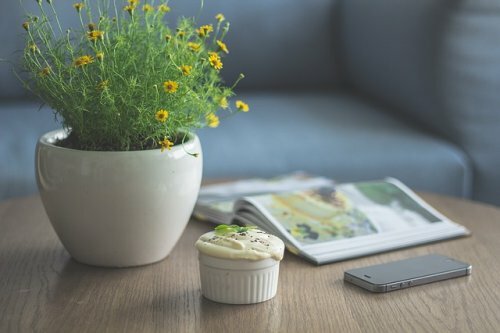 Outdoor allergens Leaving your shoes outside the door and changing your clothing immediately when you enter your home will either reduce the number of irritants, including pollen, pesticides, and smog poisons, that hitch a ride inside or reduce the chance of these circulating in your indoor air. On another level entirely, you can impact the purity of your indoor air by ensuring your HVAC system is fully equipped to do its job of keeping your air supply clean and fresh. Air filters/HEPA upgrades By changing your air filters at least monthly on a year-round schedule and by upgrading to HEPA-rated air filters, you will reduce the level of toxicity in your indoor air by up to 99.9 percent. You may also want to upgrade to a central HEPA-rated filtration system for permanently cleaner indoor air. Air duct cleaning Many of the toxins, allergens, and poisons that enter your home become trapped in dust and debris that clings in an ever-expanding ring around the insides of your ductwork. As this ring expands, it begins to cut off the easy passage of air through your ducts. This also increases the toxins that are circulated and recirculated through your home. By having your air ducts cleaned out regularly, you ensure all those toxins are removed from your indoor air supply permanently. Mattress cleaning By having your mattresses cleaned to remove irritants such as dust mites, pet dander, and pollen, then covering pillows, mattresses, and comforters with allergy covers, you can greatly reduce the number of toxins you breathe in while you are sleeping. Heat recovery ventilators A heat recovery ventilator neatly separates fresh incoming air from stale outgoing air by using separate air conduction systems to do each job. This dramatically improves your indoor air quality from day one. Here at Clean Air Solutions in Hamilton, we have nearly a century of expertise in keeping indoor air clean. We can help you safeguard the health of your family and the life of your appliances while reducing your carbon footprint and your monthly energy bill. Contact us at 905-544-2470 or online to schedule your free initial consultation!